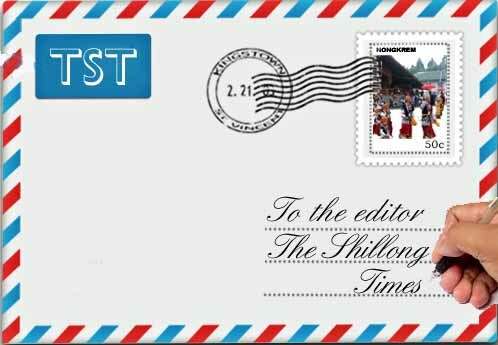 As a citizen who has observed the traffic routes, particularly every morning during the peak hours, vehicular traffic comes to a standstill at the Barik point in Shillong and every vehicle tries to overtake the nearest one which is very risky. The only probable solution is to re-open the road for both way traffic from the junction near the State Central Library towards Civil Hospital so that the vehicles intending to go towards Laban, Garikhana, Upper Shillong or Guwahati can always avoid Barik point and all the vehicles heading for Police Bazar from Barik may be allowed the right turn from Barik, as was the system earlier Further, to direct and control the flow of traffic, few traffic guards can be deployed at the junction in front of the Army Holiday Home to direct the traffic heading towards Malki point to take the original route to Barik without taking the roundabout way circling the PWD complex. It has been found that the Barik point remains over burdened due to the traffic flow from 4 (four) directions, viz. Malki point, IGP point, from Horse Shoe building and the Lady Hydari Park as there is no other alternate route. Hence the old traffic route may kindly be restored to ease the Barik bottleneck as the new system of pushing all the vehicles through Barik point has proved to be a failure. Needed an intelligent traffic system! Apropos the report on traffic snarls around Shillong city (ST April 12, 2018) I recall giving a short note to the City traffic office in 2011-12 and I give below a few more pointers that should be useful in future deliberations on this matter. The flow of traffic in a city is divided under the following heads: offices, markets, hospitals, schools / colleges, tourist attraction points, business/warehouse zones; bus/taxi stands to name the important ones. The traffic flow in all the constituencies such as Mawlai, West Shillong, North Shillong, South Shillong, PynthorUmkhrah, East Shillong and Nongthymmai can be reshuffled within the points mentioned below. This is of utmost importance to ease the flow of traffic. Through your esteemed daily i would like to bring to the attention of the higher authorities of Meghalaya Rural Bank of a shockingly rude, ill-mannered and insulting behavior of one of the staff members of Nongpoh branch. Last March 2018 my mother( a pensioner) went to withdraw money from this bank and on reaching the payments counter she handed a cheque to the cashier (wearing black leather jacket and a black cap). In a rude and arrogant tone he shouted and ordered my old mother to get the token in spite of the fact that the person who was giving tokens had already instructed us that no token is required since there is no rush of customers. After receiving the token, again in a rude manner he asked my mother why she could not wait (Balei? Phim lah ban ap?). We obeyed his orders and had to wait for another 5 minutes since he was busy on his cell phone.. Then he called my mother and threw the cheque at her just because she did not write the date on it. Moreover when my mother received the payment she kindly requested him to pay in small denominations but he did not pay any heed or utter a single word. Instead he paid the amount in 2000 re notes. Also this is not the first time that this particular staff has misbehaved with customers. .
My mother is an old pensioner and a very old customer having active banking relationship for over 15 years with the bank, and during the past we didn’t have any complaints or problems with the services that the Bank provided but the recent treatment meted out to a senior citizen like my mother is utterly shocking, shameful and disgraceful Last Wednesday, my cousin and her friends went to pay their college fees at the same bank. They were also mistreated and scolded by this same person just because they did not have the exact change for the fees ( though change is expected from a bank) . This particular staff seems to hate his job, hence his short temper, so much so that all the students standing in the queue started murmuring how rude this fellow in the black cap is ( He is referred to s ‘black cap’ since we don’t know his name and he is the only staff wearing a cap in the office). Such unprofessional, rude, and brusque bank staff is going to spoil the bank’s credibility and such a behaviour from an educated banker is just not acceptable in this modern era. Therefore I request Meghalaya Rural Bank to provide customer service training to this black cap fellow at the earliest.